Known as the Switzerland of Central America, Costa Rica enjoys political, religious, educational and economic freedoms beyond most of its neighbors. But like so many developed countries, this does not apply to everyone. Deep in the rural areas where manual labor is the sole means of support, many people live in a cycle of poverty with broken families, broken hearts and a desperation for that which can only come from a relationship with the Creator. The Costa Rican church can respond in a way that is so much more effective than outsiders’ attempts through training of leaders and development of new thought paradigms. But outsiders can have a huge impact! 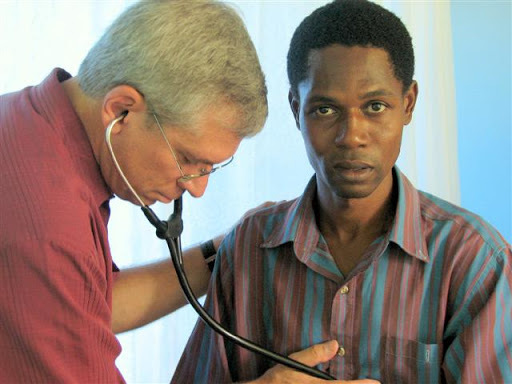 Recently some friends came down to partner with local believers to hold four days of a free clinic in a local church in Cariari. Led by a team of Costa Rican leaders and medical personnel, the draw of North Americans and clinical care brought out over three hundred people to receive both physical care and the news of spiritual life. Over 45 people made a life-changing decision (twenty of whom were in church the very next Sunday) and over 70 requested a home visit from the church pastor. Only God knows the full extent of this sacrificial work, but willing hands and servant hearts can be used by Him to impact people eternally.